^ "Plum Goes Orange – Elsevier Acquires Plum Analytics". 2017-02-02. ^ RELX (21 February 2019). "RELX — Results for the year to December 2018" (PDF) (Press release). London, United Kingdom and Amsterdam, The Netherlands: RELX Group. Retrieved 2019-03-27. Adjusted operating margin for 2017 for the publishing division is 36.8% (p6). ^ Amirtha, Tina (2015-04-17). "THE OPEN PUBLISHING REVOLUTION, NOW BEHIND A BILLION-DOLLAR PAYWALL". Fast Company. Retrieved 26 January 2016. ^ "Reed Elsevier announces knowledge partnership with University College, London". The Independent. 18 December 2013. Retrieved 29 September 2014. (Subscription required (help)). ^ Glyn Moody (2017-08-04). "Elsevier Continues To Build Its Monopoly Solution For All Aspects Of Scholarly Communication". Techdirt. Retrieved 2018-10-17. ^ Mike Masnick (2016-05-17). "Disappointing: Elsevier Buys Open Access Academic Pre-Publisher SSRN". Techdirt. Retrieved 2018-10-17. ^ Martin Paul Eve (2016-12-14). "Referring Elsevier/RELX to the Competition and Markets Authority". ^ Claire Shaw (2013-10-04). "Hundreds of open access journals accept fake science paper". The Guardian. Theguardian.com. Retrieved 26 December 2013. ^ Ivan Oransky (2018-08-23). "UPDATED: Elsevier retracts a paper on solar cells that appears to plagiarize a Nature journal. But the reason is…odd". ^ "Medical journal editor sacked and editorial committee resigns". 2015-05-03. Retrieved 18 May 2015. ^ "Elsevier journal editors resign, start rival open-access journal". www.insidehighered.com. Retrieved 2019-01-14. ^ Chawla, Dalmeet Singh (2019-01-14). "Open-access row prompts editorial board of Elsevier journal to resign". Nature. doi:10.1038/d41586-019-00135-8. ^ "Scientific journal subscription costs in Finland 2010-2015: a preliminary analysis". rOpenGov. Retrieved 2017-10-15. ^ "No deal, no review – #nodealnoreview". Nodealnoreview.org. Retrieved 2017-10-15. ^ Kukkonen, Suvi (2018-01-17). "FinELib and Elsevier Reach Agreement for Subscription Access and Open Access Publishing". National Library. Retrieved 2018-01-17. ^ Toma Susi (2018-01-25). "Finland takes steps in the openness of academic journal pricing". Mostly Physics. Retrieved 2018-05-01. ^ Marie Farge. Transition vers l’Accès Libre: le piège des accords globaux avec les éditeurs. Matematika (in French). Club de Mediapart. Retrieved 2018-05-01. ^ "Major German Universities Cancel Elsevier Contracts". The Scientist. Retrieved 2017-07-18. ^ "A bold open-access push in Germany could change the future of academic publishing". Science | AAAS. 2017-08-23. Retrieved 2017-08-24. ^ Conference, German Rectors'. "Researchers resign editorship of Elsevier journals". Retrieved 2017-10-16. ^ "German universities to let Elsevier contracts lapse | Books+Publishing". Booksandpublishing.com.au. Retrieved 2017-07-29. ^ "Vertragskündigungen Elsevier 2017 – Projekt DEAL". Projekt-deal.de. Retrieved 2017-09-12. ^ Matthews, David (4 January 2018). "Elsevier maintains German access despite failure to strike deal". Times Higher Education (THE). London, United Kingdom. ISSN 0049-3929. Retrieved 2018-01-05. ^ Schiermeier, Quirin (4 January 2018). "Germany vs Elsevier: universities win temporary journal access after refusing to pay fees". Nature News. 553 (7687): 137. Bibcode:2018Natur.553..137S. doi:10.1038/d41586-018-00093-7. ISSN 1476-4687. PMID 29323311. Retrieved 2018-01-05. ^ Seeley, Mark (2013-05-09). "Trade sanctions against Iran affect publishers". Elsevier. Retrieved 2018-12-25. ^ "How Elsevier plans to sabotage Open Access". Medium. 2017-03-25. Retrieved 2017-03-26. 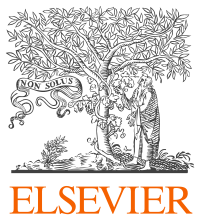 ^ "Norwegian research institutions have decided not to renew their agreement with Elsevier". UNIT. 2019-03-12. Retrieved 2019-03-12. ^ "70여개 대학 도서관, 새해 첫 날부터 일부 논문 못 봐 - 한국대학신문" (in Korean). 2017-12-29. Retrieved 2018-01-05. ^ "South Korean universities reach agreement with Elsevier after long standoff". Science | AAAS. 2018-01-15. Retrieved 2018-01-16. ^ annwen. "Bibsamkonsortiet - Kungliga biblioteket". www.kb.se (in Swedish). Retrieved 2018-05-31. ^ "Sweden stands up for open access – cancels agreement with Elsevier". OpenAccess.se (in Swedish). 2018-05-16. Retrieved 2018-05-30. ^ Schmitt, Jason (2017-03-30). "Asia Advances Open Access Research". Huffington Post. Retrieved 2017-04-29. ^ "Lobbying Spending Database - RELX Group, 2017". Opensecrets.org. Retrieved 2017-08-30. ^ "Federal Research Public Access Act (Alliance for Taxpayer Access)". Taxpayeraccess.org. Retrieved 2017-03-25. ^ "Legislation to Bar Public-Access Requirement on Federal Research Is Dead". The Chronicle of Higher Education. 2012-02-27. Retrieved 2017-03-25. ^ "How Corporations Score Big Profits By Limiting Access To Publicly Funded Academic Research". ThinkProgress. 2013-03-03. Retrieved 2017-03-25. ^ Contributor. "The Dangerous "Research Works Act"". TechCrunch. Retrieved 2017-03-25. ^ Hu, Jane C. "Academics Want You to Read Their Work for Free". The Atlantic. Retrieved 2017-03-25. ^ Elsevier. "Message on the Research Works Act". Elsevier.com. Retrieved 2017-03-25. ^ Kakaes, Konstantin (2012-02-28). "Scientists' Victory Over the Research Works Act Is Like the SOPA Defeat". Slate. ISSN 1091-2339. Retrieved 2017-03-25. ^ "Elsevier withdraws support from Research Works Act, bill collapses". Boing Boing. 2012-02-28. Retrieved 2017-03-25. ^ "Academic publishers have become the enemies of science". The Guardian. 2012-01-16. ISSN 0261-3077. Retrieved 2017-03-26. ^ "Elsevier, Wiley are getting PR advice from Eric Dezenhall". Transcription and Translation. Retrieved 2017-03-25. ^ Dyer, Owen (2007-02-03). "Publishers hire PR heavyweight to defend themselves against open access". BMJ: British Medical Journal. 334 (7587): 227. doi:10.1136/bmj.39112.439051.DB. ISSN 0959-8138. PMC 1790741. PMID 17272546. ^ "Scientific Publishers Offer Solution to White House's Public Access Mandate". Science | AAAS. 2013-06-04. Retrieved 2017-03-25. ^ ""The Pit Bull Of Public Relations" - Bloomberg". Bloomberg.com. 2006-04-17. Retrieved 2017-03-25. ^ "Muscle from Brussels as open access gets an €80bn boost". Times Higher Education (THE). 2012-05-17. Retrieved 2017-03-26. ^ "Horizon 2020 to promote open access". Gowers's Weblog. 2012-05-17. Retrieved 2017-03-26. ^ "Horizon 2020: A €80 Billion Battlefield for Open Access". Science | AAAS. 2012-05-24. Retrieved 2017-03-26. ^ "European Union links research grants to open access". Retrieved 2017-03-26. ^ "Inside Higher Ed: Big push for open access". Times Higher Education (THE). 2013-02-26. Retrieved 2017-03-26. ^ "Elsevier distances itself from open-access article". Times Higher Education (THE). 2013-05-22. Retrieved 2017-03-26. ^ "How Corporations Score Big Profits By Limiting Access To Publicly Funded Academic Research". ThinkProgress. 2013-03-03. Retrieved 2017-03-26. ^ "Hated Science Publisher Elsevier To Help EU Monitor Open Science - Including Open Access". Techdirt. Retrieved 2018-04-05. ^ Lykkja, Pål Magnus; Myklebust, Jan Petter (17 March 2018). "Open science in the EU – Will the astroturfers take over?". University World News. Retrieved 2018-04-13. ^ Ross Mounce (2017-02-20). "Hybrid open access is unreliable". Retrieved 2018-04-30. ^ Mike Masnick. "Elsevier Ramps Up Its War On Access To Knowledge". Techdirt. Retrieved 2018-05-01. ^ "How one publisher is stopping academics from sharing their research". Washington Post. Retrieved 2017-03-26. ^ McLaughlin, Stephen Reid (18 March 2016). "Elsevier v. Sci-Hub on the docket". Retrieved 2016-06-28.